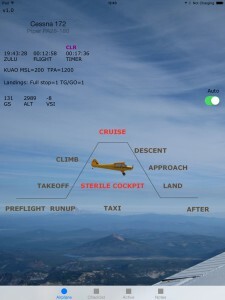 Active Checklist is the only AUTOMATED and customizable checklist app for pilots! 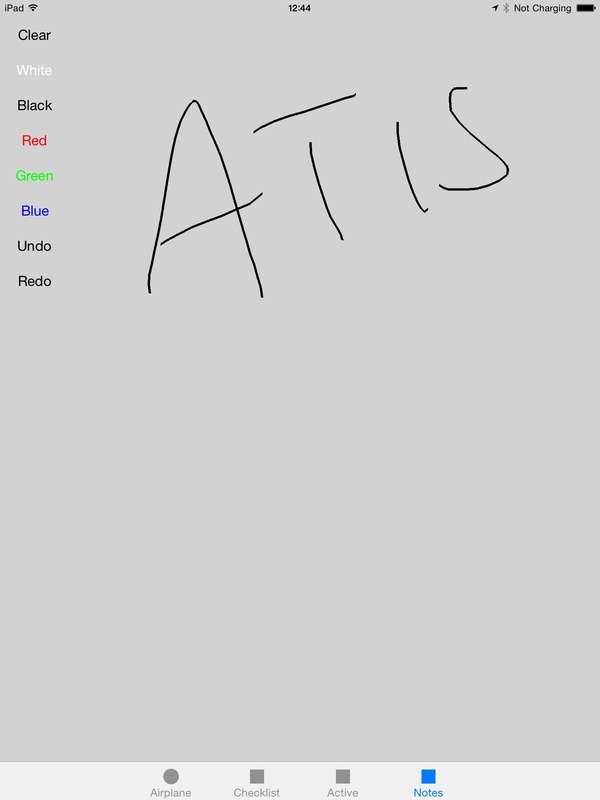 Check out a preview of the app here. 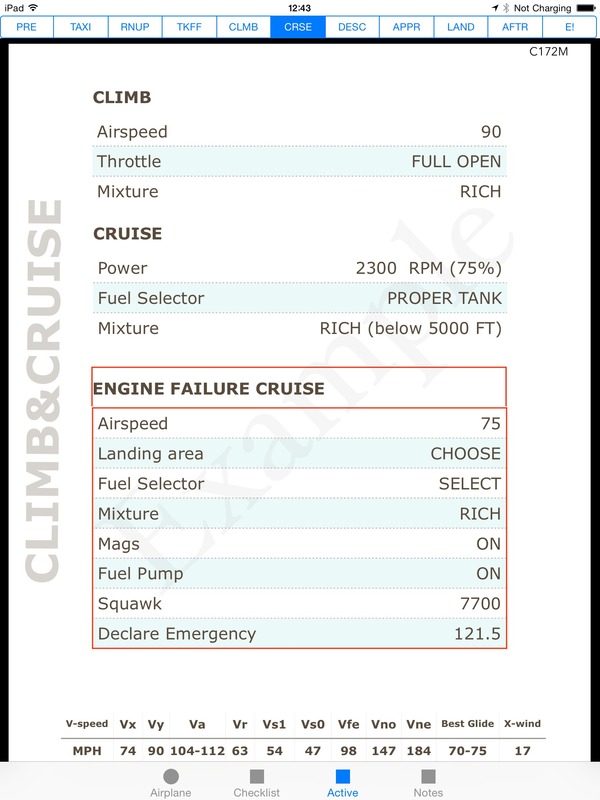 Active Checklist automatically knows which phase of flight you’re in and will correctly display the current checklist whether you’re taking off, cruising or landing. Active Checklist gives you ease of mind knowing you’ll always have the right checklist handy, allowing you keep your focus on flying. 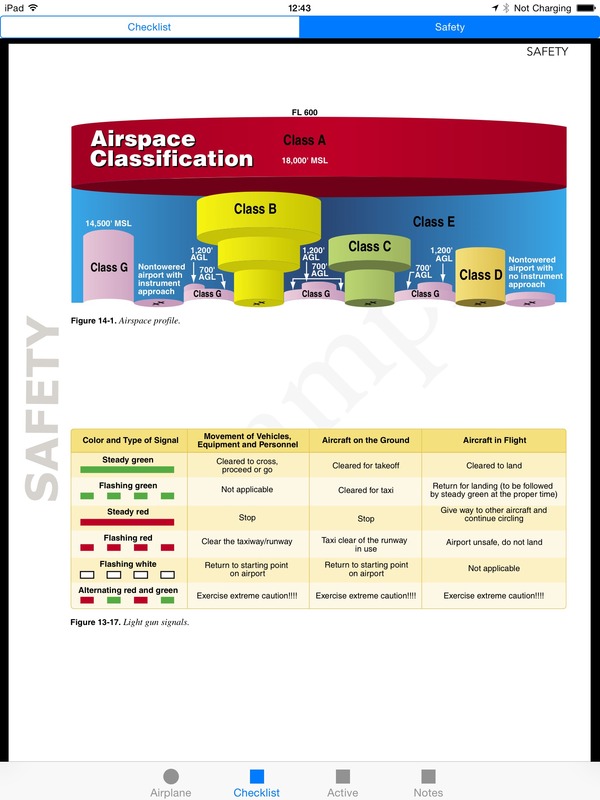 Additionally, Active Checklist will show the number of full-stop landings, touch-and-go/go-arounds. 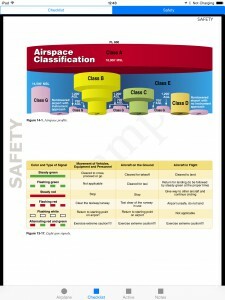 It also includes a timer, a flight timer and a handy notepad for ATIS or clearances. 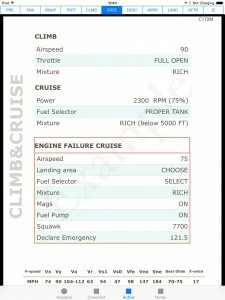 Active Checklist provides pre-loaded checklists for two airplanes: the Cessna 172 and the Piper PA-28. 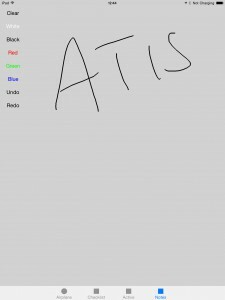 You can also easily create and use your own customized checklists. 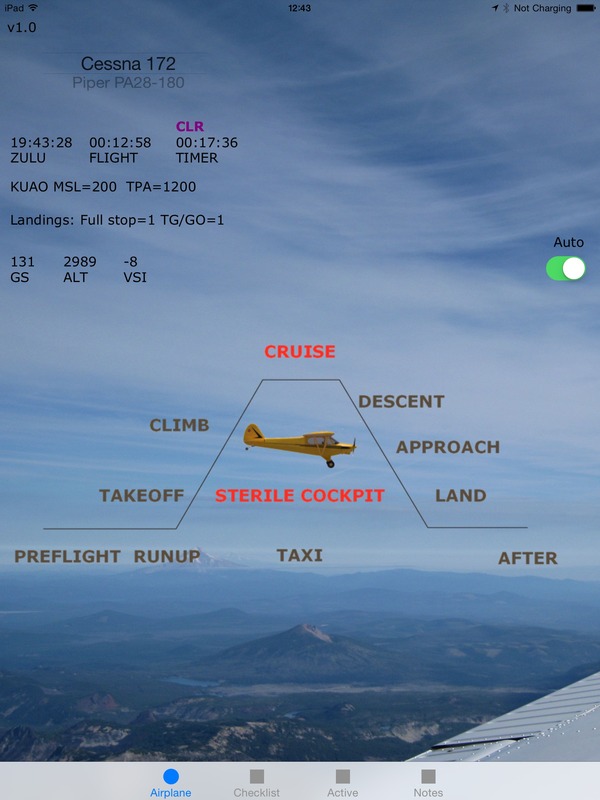 Active Checklist also interfaces with X-Plane if you want to use it when flight simulating. Active Checklist also includes the same bread crumbs feature as SkyCharts so you can see and download your flight. Download and try Active Checklist for free on AppStore. Once you are ready to create your own checklists (and get rid of the Ads) simply use the in-app-purchase and then you can create and upload a zip file like explained here. 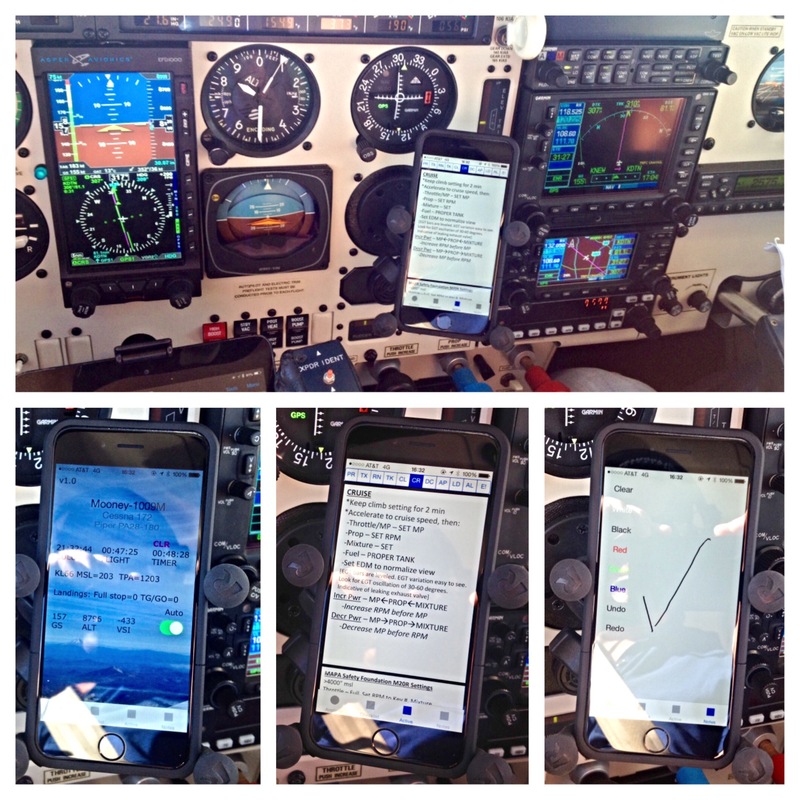 Brian sent this picture from the app in action in his Mooney, in a busy cockpit you can see how having one device less to manage would be useful!